One of the most important things any safety manager, or other leader in a facility can do to help improve overall safety is to teach everyone that preventing accidents before they happen is an important part of their job. While responding to accidents after they happen is necessary, it is really only the result of the facility failing to prevent it from happening in the first place. Rather than waiting for problems to come occur, so solutions can be found and implemented, it is much better to always be on the lookout for ways to stop an accident before it becomes a reality. 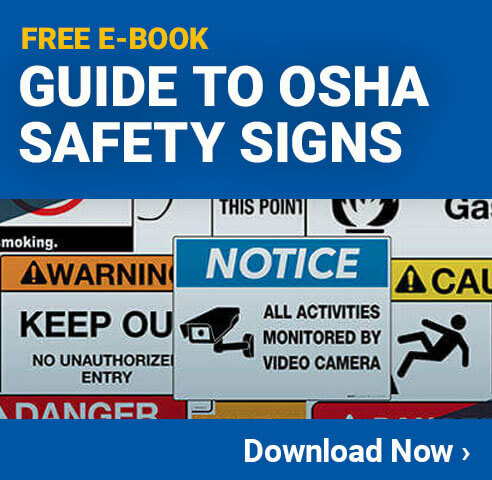 As a safety manager, there are two main ways to identify safety problems before they occur. The first one is often known as change analysis, and it will look at anything that is out of the ordinary in the facility. Identifying anything that has changed can help to clarify whether the change has also brought with it any additional risk. Obviously, it is impossible to operate a facility without any change, and that is one of the biggest reasons why effective change analysis is so important. The second strategy is often called job safety analysis, and it functions by taking each job or task performed in a facility, and dissecting apart the steps that are taken within the job. Looking at each step that is taken, and attempting to identify what risks exist will help allow for solutions to be put in place to prevent those risks from becoming actual accidents. A good safety manager will use both of these methods in his or her ongoing battle of minimizing the risk for accidents in the work facility. How can Analyzing Changes Help? When done properly, change analysis can help the safety manager identify new problems which occur as a result of a change in the area. This change could be intentional, such as adding new machinery or adjusting the products that are being made, or it could be unintentional, such as a part of a machine wearing out or breaking. There are several steps involved with analyzing any type of change. Identifying what caused the change is typically a good place to start. This can then be compared to the way things were done prior to the change. This will help to set a baseline to identify whether there are additional risks, or if the change has helped to eliminate risks. Once these things are observed, it is possible to pinpoint any areas of the change that have introduced a new risk, and either adjust the change to work properly without the risk, or consider restoring things back to the way they were before. This can be a lengthy process, but it is well worth the effort because doing so will keep these changes from causing any further accidents. How can Analyzing a job Help? Unlike analyzing change, the job analysis will work with all existing systems as they are. The steps involved are often quite similar, but they aren’t limited to looking just at what types of things changed. By evaluating current processes that are in place, and identifying all potential risks associated with them it can often help bring unknown risks to light. Once identified as a risk, the safety team can work with other teams to attempt to find solutions to the problems. It is important to note, however, that whenever implementing a solution to a risk, it is critical to then re-analyze the job processes with the solution in place. In some cases, a proposed (or even implemented) solution can actually cause unintended problems or risks. Taking steps to ensure that any adjustments made to a standard process have a net improvement in safety is one of the cardinal rules of job safety analysis. Whether performing one of these two analysis steps, or just working in a day to day role in a facility, it is important that everyone knows their role when it comes to facility safety. Most people are given training on how to perform their normal job duties, but are largely ignorant of when to report potential problems or even to whom they should be reported. If, for example, someone notices that a belt in a machine is frayed, they might not report it unless it is on a machine that they regularly work with. There are many reasons why people don’t report things, but typically it is just because they don’t know the process. Safety managers, or other leaders in a facility, should always take the time to ensure everyone knows what to do when they identify a risk or a potential risk. In addition, there should never be any negative repercussions for reporting these things. Even implementing a policy so when someone doesn’t know whether something is a concern, or who to report it to, they should come directly to a safety or facility manager. Even if this is not the ideal place to have something reported to, it will give everyone a single point of content for all these types of issues. In many cases they will know who to report problems to, but when they don’t, employees should always be able to come to the safety or facility manager with their concerns. Another important way to help people stop accidents before they become a part of them is to ensure they are properly educated on how things in the facility work. This can start with standard education programs to ensure everyone is aware of the safety standards in a facility. For example, most facilities have a variety of different color floor markings (See example Figure 1) that indicate different safety risks. Everyone should know what they all mean, even if they don’t often work in a particular area where they are used. Figure 1: Floor Marking Color CodesBeyond this level of education in a facility, it is also important to make sure everyone has a good understanding of what types of things to look for in a facility. Most accidents are preceded by some sort of problem which is either not noticed, or ignored. A simple example of this could be when someone sees a puddle of water near the entrance to a facility. If they report it to the maintenance staff, it could be cleaned up before someone slips. There are, of course, many other types of problems that occur in facilities, and making sure everyone knows how to spot when something is not right, and how to get it fixed, can help prevent a lot of problems. While it is essential to take all possible steps to prevent accidents from occurring, some will still inevitably happen. When an accident does occur, it is important that everyone knows that they should immediately report the accident so that it can be fully investigated. An accident investigation shouldn’t be seen as a witch hunt, trying to find someone to blame. Instead, accidents should be viewed as opportunities for preventing further problems. When everyone is open, honest and up front about their roles in an accident, it will be much easier to fix the root cause so it doesn’t happen again. Next post Can Video Games Improve Safety Awareness?